Sheepshead provide great action and table fare in Sarasota! Sheepshead are an unusual looking fish, easily distinguished by its vertical black stripes and human-looking teeth. They will almost always be found near some type of submerged structure, eating crabs, barnacles, and other critters that live nearby. 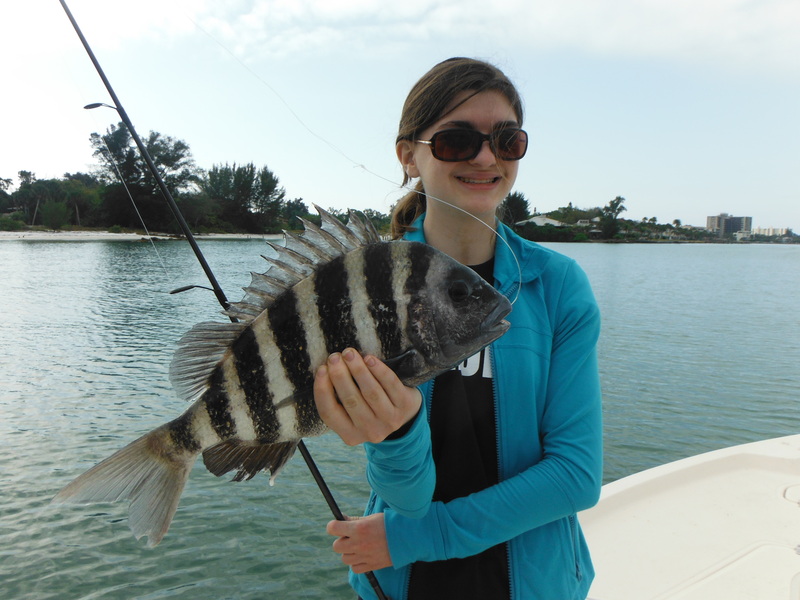 In the past few years sheepshead fishing has been excellent in the deep rocky structure in Big Pass has provided outstanding sheepshead fishing from January through April. Area bridges are hot spots as well, Siesta Drive, Ringling, Yacht Club Channel, and New Pass all have good bridges for sheepshead fishing. Siesta Key has many residential canals. These are prime areas for sheepshead fishing. Canald always have docks and are dredged to an optimim depth. 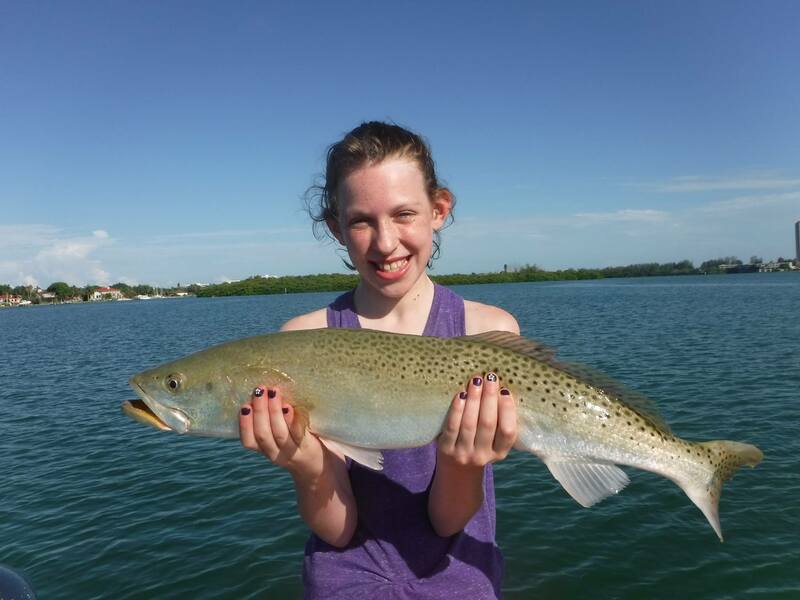 These are great spots to fish in the winter on breezy days. The concrete sea walls will absorb and retain heat. The water temperature will normally be several degrees higher than Sarasota Bay. Sheepshead can also be found in shallow water around oyster bars. Some anglers even sight fish for them. Live shrimp on a hook with no weight is the best approach. Very few are caught by anglers on lures and they are notorious as bait-stealers. Live shrimp, sand fleas, and fiddler crabs are the top baits. They fight hard and are most plentiful in winter and early spring. The bite can be very light and the lighter the tackle used the better. Sheepshead fishing can be challenging and even frustrating at times. It is best to et he fish peck at the bait, waiting for a solid pull. When some weight is felt, the angler should reel fast, removing the slack from the line and then just raise the rod tip high. This works better than setting the hook hard. They taste great but are difficult to clean due to their large spines and tough rib bones. The fillets are versatile and good cooked in several ways. Current Florida sheepshead reegulations can be found HERE.